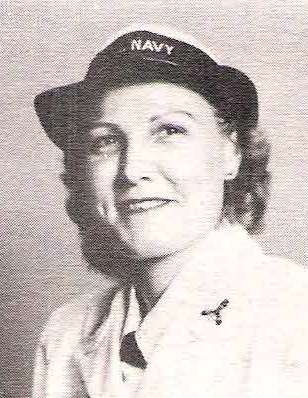 PhM 1/c Joanne E. Little, daughter of Mr. and Mrs. G. I. Little, Olney, attended Olney High. Entered Waves, 1943, trained in Bainbridge, Md. Served in USA. Awarded GCM. Discharged in 1945.